Thursday, August 30, 2018 (PW) — Unless it is breaking news, there is no civil servant in the government of South Sudan that has been derisively dragged through the mud and unreasonably disparaged more than Ateny Wek Ateny on both social and print media outlets. Unimaginably, even the Facebook is heavily littered to the brim with Ateny’s name and I am sure you too do find it; that the Presidential Press Secretary either is a wrong man in the right place or a curse to the Presidential palace in disguise. That is their opinion. And I have mine too. The gist of writing this piece of article is neither to glorify him nor vilify his critics; nor even to put his reputations into ignominy. Rather I have picked up my pen to share my thoughts with the readership about this very man in the Presidential press room. Tuesday, June 12, 2018 (PW) — No sane person can contemn or condemn the government or Gen. Akol Koor for reaching the peace deal with inconsequential members of the SS-UF. This is not to say that the government dreads to confront the twonk Gen. Malong militarily in the battle field if he chooses so. It is because the government had already decided ( since the genesis of this war) to take the path of peace to salvage the country from this infinite crisis by giving out government positions to whomever has rebelled if that can make them cease from killing the innocent South Sudanese people. This is why Gen. Akol has reached this peace deal with SS-UF break-away group of Lino Ajang Ajang. Frankly speaking, there is no a lucid person who has witnessed these destitutions and destructions brought upon this country by the ongoing senseless war is ready again to be lured by the discombobulated Malong into killing JUNUBIIN under the pretense of ‘arresting the carnage’. That is why Ajang has led this exodus of a few hundreds if not thousands youth and some elders to Juba. Their exit confirms that they want peace. January 24, 2018 (SSB) — I would want to prologue this article with a few remarks. A society that doesn’t stare the truth in the eye and call it by its correct name will perish. Such a society is always packed up under the burden of intellectual knavery and two-facedness. 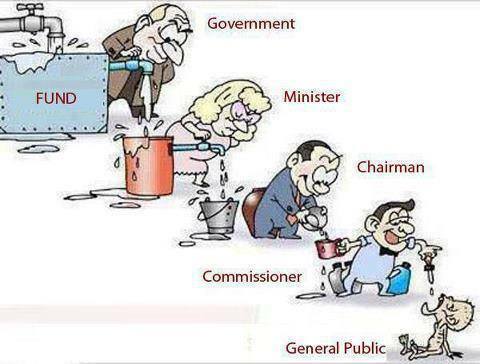 This is the exact situation that niches our society. As Mr. Ahmadou Kourouma wrote in his book, “Waiting for Beasts to Vote”, “The world is for clothed peoples. We can’t enter this world unless we clothe ourselves unless we abandon our nakedness,” he writes. And so we dress up the truth in lies. That is our problem. We dress up the truth in lies. We are economical with the truth. We shy to call things by their names. The way the current squabble over Union leadership is explained exhibits A.
January 20, 2017 (SSB) — To prologue this response, I would like to accentuate that my response shouldn’t be translated as a flattering response aiming to achieve something. My response to Chuor’s article is merely propelled by his incoherent presentation of accusations and lack of evidences and it is fairer enough to say his psychosis has dragged him to undertake this suicidal mission. Everyone who has read his article, “In the Cold: Is Ateny Wek Ateny being sidelined at the Presidency?” might have possibly posted some questions to himself or herself, like, Is Chuor Deng Chuor a real or an imaginary person; where does he work; how did he get the information he claims in the article; is he an insider who wants to replace Ateny; is he a student from the department of political science at the university of Juba who was a friend of Ateny but broke up; and so forth. However, the fact of the reality is, he is a camouflaged suicide bomber who has been given a bomb by Ateny’s enemies to detonate with Ateny. January 10, 2017 (SSB) — It was on Tuesday, the 3rd of January, the first work day of 2017 when President Salva Kiir Mayardit inked the polemical appointment of Gen. Gregory Deng at J1. It was exactly the third day of the New Year and the New Year’s wishes were still fresh in everyone’s mind. With that appointment, President has controversially coloured the wishes of the New Year. For some in Gogrial state (Pres. Kiir’s own state) who thought that 2016 was not fair to them economically and politically because of former governor Gum being in power, and they were wishing the New Year to come with many desirable items on its menu ranging from political to economical, I want to say congratulations! President Kiir has served you with Gen. Gregory on gubernatorial plate as your best New Year wish on the 2017 political menu. Maburuk! to those who tie their political fortunes to the political success of Gen. Gregory that, please, enjoy but don’t forget that there are many challenges lying ahead there and if you don’t work hard to maintain this seat by delivering what is expected of you to the people of Gogrial state, then be mindful what brought Gregory may take him away any time. 100 days in the Office: Is Gen. Taban Deng a Machiavellian Schemer or Unheralded Prince of Peace? November 13, 2016 (SSB) — If anybody had told me then, or over any succeeding ten (10) years from the CPA interim period to 15th December crisis in which he was then a Governor of Unity State and later the SPLM-IO chief negotiator, that he was a future First Vice President, I would have summoned those men in white coats. However, his unexpected rise to the country’s second top job is unprecedented political miracle which no one had ever thought of. Gen. Taban Deng is now 100 days old in the office and it is worth looking into what he has achieved. The 100 days parameter is being used as yardstick by press and public in advanced democracies for gauging presidency take off effectiveness. This slippery terrain was first introduced into the global leadership framework in 1993 by the 32nd President of the United States, Franklin D. Roosevelt. Therefore, I think the South Sudanese should use this yardstick for gauging what Gen. Taban has achieved, if any, in his 100 days in the office. August 26, 2016 (SSB) — It was bound to happen sooner rather later. For the government supporters who were holding their breath, waiting to hear what is on president’s mind about the recent adopted United Nations Security Council (UNSC) resolutions on the renewal of UNMISS Mandate and approval of 4,000 strong protection or intervention force; they got what they were waiting for on Monday 15th August when President Salva Kiir officially inaugurated the Transitional National Assembly. The business remains as usual; and the pessimists who were speculating the business to be as usual got away with right prediction as the winners of political prediction. To their dismay, the supporters of the government who were expecting their government to be “born again” and look forward to seeing their President firing verbal missiles and incendiary rhetoric Like Hon. Michael Makuei Lueth against the UN, IGAD and US regarding the recent adopted UNSC resolution on sending 4,000 protection or intervention force to South Sudan and the renewal of the mandate of UNMISS, didn’t see any change in business. Can President Kiir man up like President Nkurunziza of Burundi and say NO to regional forces? “No Nation has the right to make decision for another nation; No people for another people” Julius Kambarage Nyerere, from his ‘A Peaceful New Year’ speech given in Tanzania on 1 January 1968. August 14, 2016 (SSB) — When patriot South Sudanese look at the world, we see a swarm of threats and hatred. Threat that start from our region to the United States. Our neighboring countries including Uganda and Kenya are plausibly warming up for aggression against South Sudan any time at behest of the United States. There is no doubt that the Washington and United Nations are extending their usual aggressions on the pretext of promoting democracy, humanitarian assistance, human rights and protection of civilians as means of ousting independently-minded governments to South Sudan. Washington did it before to the leaders of countries which had refused to show deference to the Washington such as Saddam of Iraq, Gaddafi of Libya and Assad of Syria. August 8, 2016 (SSB) — Before I get into what I want to write, I would first like to preface this article with few remarks. I will begin by thanking the First Vice President H.E Gen. Stephen Taban Deng Gai and the entire SPLM-IO political bureau membership for choosing hope over despair; peace and congeniality not a boomerang of war; rebuilding a prosperous country not destruction of the country, to continue implementing the armistice contrary to what is on Riek Machar’s mind. This is a great marque decision ever and it will go down the history of this great nation as one of the most momentous event. Though some political and tribal antagonists are firing brads and drats against this decision and branding the SPLM-IO members under Gen. Taban as Machiavellian schemers, I personally believe that it is a right decision taken at the best interest of peace and harmony and many South Sudanese have applauded it irrespective of their political affiliations and ethnicities. It is very courageous and steadfast decision with one aim of living up to the peace agreement for South Sudanese to live in harmony and peaceful co-existence once again. July 19, 2016 (SSB) — In Western diplomats’ imagination, General Paul Malong Awan is a life-battery for President Salva Kiir’s presidency; Presidential wheel driver; dictator and the fanner of the war. For Western sympathizers, he is the murderer of the Nuer, Dinka emperor who wants to build Dinka political hegemony, corrupt, antagonist and awaiting heir who will inherit the presidency once the president Salva Kiir retires or dies. However, General Malong have risen and stood tall above these caricatural descriptions during the recent five days fighting in Juba. Gen. Paul Malong Awan was in the bush long before the emergency of the SPLM/A in 1983. Like other war veterans, Malong abandoned his own Anyanya two movement in Northern Bahr el Ghazal and successfully mobilized and lead thousands of youth to Ethiopia, Bilpham in 1984. Malong was so passionate about the love for his country and detest the suffering that the people of southern Sudan were subjected to by the then Sudanese government. June 18, 2016 (SSB) —- Election is a decision making process where electorates choose their representatives from contesting parties to hold official offices and deliver services to them. The party with clean track records and good manifesto with detailed work plans always win the hearts of electorates. This is the usual mechanism by which modern democracy fills offices in the legislature, Executive, local government and also in Unions like student Unions and Associations like Bar associations. There is a saying that goes “no an easy job” it same goes to the election, “no an easy election!” The recent JUSU’s election was not an easy election. It was a real election battle and the SPLM/SL squarely won it with over 50% of the total votes casted. SPLM student politicians did their campaign thoroughly on programs that they will implement and changes they will bring about unlike the other camps. Up to now they are still euphorically celebrating their “mini-election” win on the campus, in hostels and around Hai Thoura shouting at their top voices “SPLM OYEEE!, INTA WA ANA SPLM, SPLM AKUMA BITANA while the democratically defeated NSAF students are mourning. Indeed they labored for lost and they deserve! Of what use is the UN Security Council to the Republic of South Sudan? Who is President Salva Kiir Mayaardit? He was the commanding officer, a captain in charge of the national army, at the Bentiu military garrison, when Chevron discovered oil in Unity state in 1978. Because he could not be trusted by Khartoum, being a southerner and ex-Anyanya officer, he was immediately transferred to Malakal, and northern troops under northern command were brought in and placed in charge of the newly discovered southern oilfields. In 1994, he survived a plane crash in Kapenguria, Kenya, when a chartered plane he was travelling in from Wilson Airport, Nairobi, to Nimule fell from over 25,000 feet, killing all passengers including the pilot, except Salva Kiir and his body guard. He escaped unscathed, with only minor injuries to his arm. As president, he later survived a joint Egyptian-Sudanese assassination plot on his life, according to Wikileak Dossier. His name is President Salva Kiir Mayaardit, the current president of the Republic of South Sudan. Kiir Kuethpiny Thiik Atem—popularly known as Salva Kiir Mayaardit—was born on the 13th of September, 1951, into a pastoral Dinka family in Akon village of the Awan-Chan Dinka Community, Gogrial District in Warrap state in the Bahr el Ghazal Region of the historical Sudan. He was the eighth of the family’s nine children—six boys and three girls—born to Kuethpiny Thiik Atem of Awan-Chan (Payum clan) and Awiei Rou Wol Tong of Awan-Chan (Payii clan), both of Gogrial Dinka from the REK Dinka community. January 4, 2015 (SSB) — As I write this letter, I am deeply overwhelmed by the wisest and bold decision our president has ever taken in creation of twenty eight states that set the entire nation into cordial jubilation. Little did anyone know that the presidential order on 2nd October will materialize! Before I delve into real reasons of writing you this open letter, I would like to say congratulations in the first place for having won our president’s heart to appoint you as the first governor of the newly created Gogrial State. Congratulations! What will Governor Akech Tong and his Cabinet Do in 30 days in the office? October 7, 2015 (SSB) — Before I go into what I want to write, I would first love to preface this article with a few clarifications. I have taken a long sabbatical leave from commenting on Warrap politics, and it is real fun watching the drama of recycling, sacking, appointing and so forth of Warrap politics from panorama. Having had my own share in engineering field in private sector (I do not need a job from government); I want to accentuate that my praises or criticism shouldn’t be translated into Yel looking for a job. Some cronies and acolytes are conditioned to fire darts and brads at maverick writers and sometimes they tend to brand writers wrongly. It is less than a week now since governor Akech has sworn in cabinet. Warrap state has been known for politics of different sorts. Following the appointment of Hon. Akech, many people had vowed that there shall be no more dirty politicking and meaningless opposition again; those who have rigged themselves into the cabinet will be forgiven and given time to deliver services to the people. In short, there was going to be a political honeymoon of stability in the state. Unfortunately, President Salva Kiir gave the Warrap politicians something to talk of again by dividing Warrap into three states. Very tough and blessing-in-disguise homework! Now no one dares to talk about what should be the priorities of this formed cabinet. The talks of the day are about the new states and who are to be cabinet ministers and governors. However, I hold the contrary view, not least because as one old adage goes, one bird in hand is worth two in the bush! I feel that we still have business with this cabinet. We are still one Warrap for the next 30 days and we ought to know what the priorities of this cabinet are? 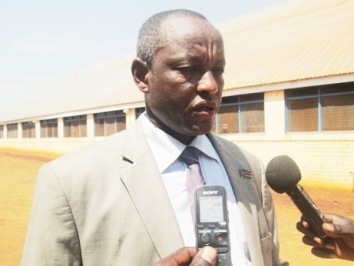 August 24, 2015 (SSB) — I will begin by thanking the president of the Republic of South Sudan, General Salva Kiir Mayardit, for the trust has conferred upon you by appointing you as a caretaker governor of Warrap state in this critical time where there is insecurity in the state and in the nation as whole. Congratulations! Mr. Governor, I know you have already received floodgate of congratulatory notes and verbal praising following your appointment but I felt that I should communicate to you by writing an open letter to you. I just want to alert you of the enormity of the task ahead of you ranging from insecurity to misunderstanding between the government organs, SPLM party and Warrap populations that you carry on your novel shoulders. Arguably, the former governor has created a great gap of distrust between government; Warrap populations, state assembly and the SPLM party in the state. There is no link and trust between them at all. They see themselves as enemies and each works against the other. Mr. Governor, it is now your task to reunite the government with the SPLM party, state assembly and Warrap populations and build trust and teamwork among them once more.